The Fisker Karma is back, but like a plot twist from Invasion of the Body Snatchers, it’s not really the Fisker Karma. After Fisker went bankrupt, two totally separate scavenger companies grabbed some Fisker DNA and created the two totally separate zombie facsimiles that are now hitting the market. 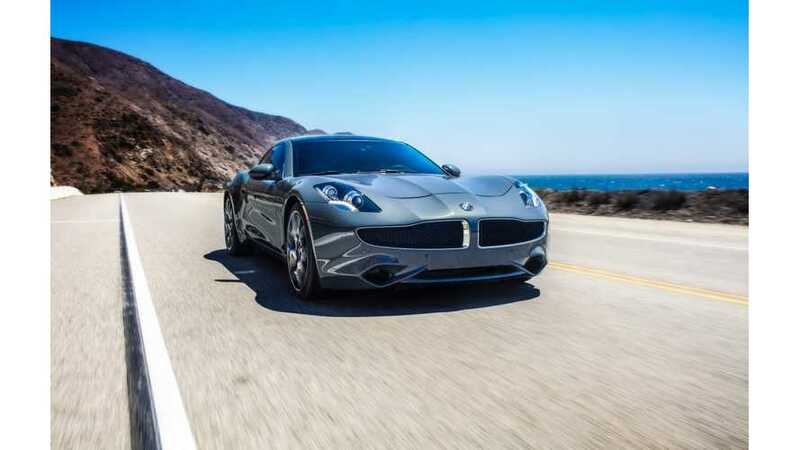 A Chinese mogul salvaged some of the brain tissue, threw it in an incubator, and grew a totally smarter Fisker Karma called the Karma Revero. It has a four-banger GM engine, about 50 electric-only miles, and a solar roof that can push the car a whole 1.5 miles. Don’t laugh. Let’s see you push the car 1.5 miles. Another company comprising Henrik Fisker himself, professional Tesla disser Bob Lutz, and some other guy, salvaged the body only, shaved the mustache — presumably after slapping some sense into Fisker — stuffed an old Corvette powertrain into the car, and there ya go. Heck on wheels! TeslaMondo’s sources say Lutz’s next project will be stuffing a Lotus Elise powertrain into a Tesla Roadster. Meanwhile, the auto world has moved along just a bit. Both of these cars reek of decay fresh out of the box. But that’s okay. Everyone has a soft spot for old-school zombies, and these cars are bona fide ambulatory dead. Even deader than Lutz’s Caddy ELR creature? Well, let’s not push it.